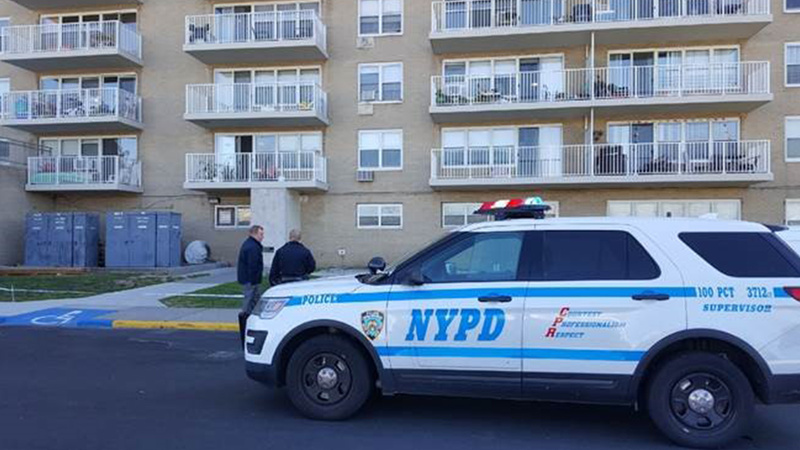 ROCKAWAY PARK, Queens (WABC) -- Police shot a man who was apparently involved in a stabbing inside an apartment in Queens on Tuesday. The incident happened around noon on Shore Front Parkway near Beach 102nd Street in Rockaway Park. Authorities say arriving officers saw a woman in the rear of the building with a stab wound to her torso. Officers were directed to the first floor hallway, where they encountered the man armed with a knife. The suspect allegedly refused to drop the knife, and police say a stun gun was used three times with no effect. One of the officers then discharged his weapon, striking the suspect in the leg. Both the suspect and wounded female were hospitalized in stable condition. The officer was also taken to the hospital as a precaution.